1. 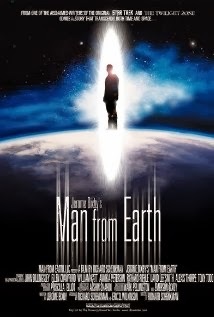 The Man from Earth (2007): My No.1 choice for a Christmas top 5 probably has nothing to do with Christmas, isn’t that strange? Well, not really! By the time you’re finished watching this one, you’ll have different meanings to the word “strange”! I should warn you though – this movie has the potential to severely spoil (or elevate, depending on your capacity to consume highly intellectual contents!) your Christmas spirit, so be careful! If you ever fancied yourself as an unprejudiced, intelligent and imaginative human being then this is your chance to prove it!! 2. 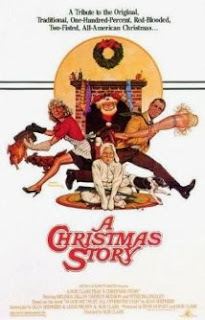 A Christmas Story (1983): You know what Christmas season reminds me of most? It’s not the gifts and presents, nor is it the parties and celebrations; rather Christmas brings back the happy memories from my childhood. If your emotions run in the same veins then this movie is the next best thing to a time machine, period! Watch this and you’ll once again find that little kid inside yourself and rejoice all the different shades and nuances of a time best spent! The casts, set-up and acting are just top-notch with some of the finest storytelling you’ll ever find in a motion picture! 3. 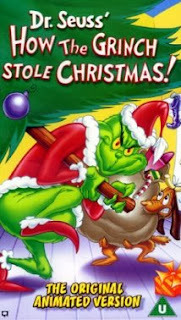 Dr. Seuss’ How the Grinch StoleChristmas! (1966): A true classic! This one is a perfect example of how good a little cartoon can be if done properly! Don’t let the dated animation fool you, you’ll be missing the very essence. With a story that’s both poignant and amusing, this little masterpiece is a must see for me! You can also go ahead and watch Jim Carrey’s 2000 remake which, while not as good as the original, has its own moments. 4. 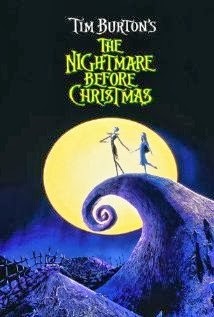 The Nightmare before Christmas (1993): Often considered as the milestone in the history of animations, this is one fantastic flick with elements of a genuine and delightful musical. The story itself is a compounded fairytale of a Christmas gone seriously wrong! Along come wild twists and a healthy dosage of dark humor and in the end you’ll know that everything in this world has its own place! Music and songs are awesome too but for me it’s the innovative plot that secures the 4th place. 5. 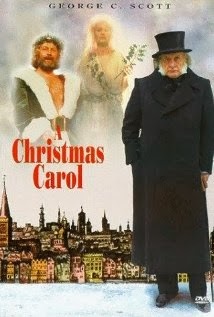 A Christmas Carol (1984): Based on Charles Dickens’ masterpiece, this movie tells the elating legend of a self centric and apathetic Ebenezer Scrooge and how he transformed into a much better human being after finding the true spirit of Christmas. This is a story that you might’ve heard many a times before- yet it never gets old! There are many versions of this great tale but my personal favorite is the one featuring George C. Scott who plays the role of Uncle Scrooge to perfection!